$300 CPA Every Day is another of Glynn’s Internet Marketing training products, which he claims can make you $300 every day. He says he’s going to show you an extremely fast way to start making money online today. He says the timing is perfect for you to jump into the underground, underused traffic source he’s going to reveal to you and start reaping from it immediately. He says you don’t need to worry about product creation, search engines, paid ads, video marketing, email marketing, Fiverr, article writing, Facebook ads, or anything else. 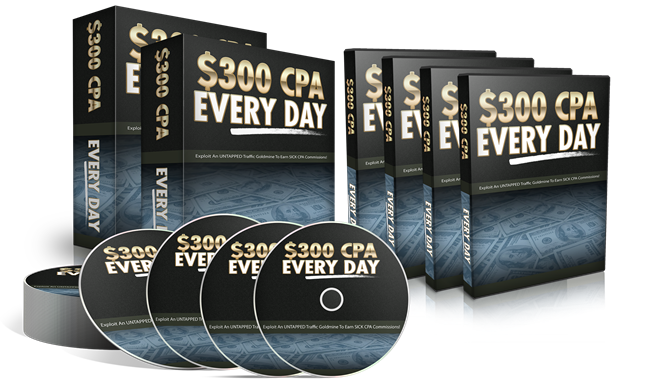 I’m not promoting Glynn’s $300 CPA Every Day as an affiliate for commissions. I’m only reviewing it objectively to provide insider information for my reading audience, who might be looking to buy it to improve their finances through Internet Marketing.